Even though student education loans can give you an enormous number of opportunities, there are also some serious consequences if you cannot pay them back. Unfortunately, each day, a number of factors are serving to drive the economy deeper into the likelihood of a depression. As a result, the chances of being able to afford to pay back your student loans is becoming significantly risky. To begin, it is important to realize that obtaining a college education will not automatically guarantee a good job, or a high paying career. In addition, you will also find that a Bachelor’s degree, and even a Master’s degree does not carry as much weight as it used to. As a result, you may have to bear the financial burden of obtaining your masters and PhD in order to achieve a high wage earning potential. 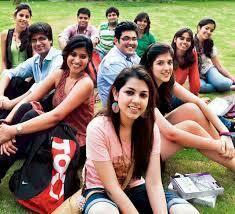 At the same time, you may find your choice of graduate degree programs limited. Consider that many universities are suffering from a lack of sufficient federal and state funding. As a result, some may be cultivating students from overseas. In some cases, the university may receive funding from the foreign country to pay for tuition, as well as fellowships and other stipend programs. As may be expected, this has the potential to limit the opportunities for people in this country to compete. In the absence of a scholarship, even if the educational backgrounds are similar, clearly, the money from overseas would be an added incentive to the university. Before taking a student education loan, it is very important to consider what your wage earning potential will be. Among other things, you will need to plan on being at least $50,000 in debt before you even get into the job market. While consolidation can help reduce your interest rates, it will not be of much help if you cannot afford to pay your loans. It is also important to realize that there are some serious consequences for defaulting on federal education loans. Among other things, you cannot file bankruptcy and obtain relief from Perkins loan debt. Even if you obtain your loans through GMAC, you will be forced to pay your loan back. If you are planning to apply for a student education loan, you will need to gather info from a number of sources. Among other things, you will need to study your chosen career field, and find out how much advancement you will get from a particular degree type. If you find that graduate work is necessary, you will need to obtain information related to overseas student demographics. In particular, you will want to gain this information with respect to the program that you want to get into. Each year, millions of students apply for student loans, hoping that the education they receive will lead to a rewarding financial future. At the same time, many students find that it is impossible to obtain a job that will cover their living expenses plus the student loan payments. While student loan lenders do everything they can to help you manage your loans, there are still times when defaulting on them is inevitable. If you don’t master your time, it is of a much higher probability that you will become an unconscious slave to people who have mastered theirs.